Dancing in time with the music is an essential part of any partner dance, and in getting your salsa moves to work. 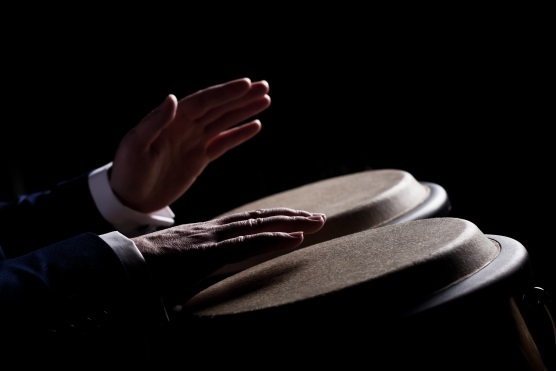 Salsa music is quite complicated, with lots of cross rhythms, and it can sometimes be difficult to feel the beat unless you are already familiar with latin music. These classes will help give you the confidence to feel the beat, find the 1 (for the start of your basic step), maintain your timing and relate your steps to what you hear. They will help you to have fun with the music, and be playful with your dancing. We will also be looking at musical phrasing, and learning to anticipate what is going to happen next (e.g. when the ending is coming). These classes are aimed at Beginners Plus / Improvers Level (Levels 2 & 3), but are open to anyone who would like to understand the music better. Gareth is a professional musician and has many years’ experience teaching music, as well as salsa. Divas & Dudes (for Intermediate / Advanced) – Please see the separate event for details. This class will focus on technique for Intermediate / Advanced Level salsa dancers.